Closed for the season. Enjoy beer, wine, and delicious food cooked in our energy efficient all-electric Rooftop Kitchen & Bar. The Imaginarium was built as a unique space to creatively showcase and promote earth-friendly practices in order to positively demonstrate forward thinking and alternative methods of construction and development as well as educate our visitors on the technology and benefits of renewable energy resources. Where human energy is turned into electricity! 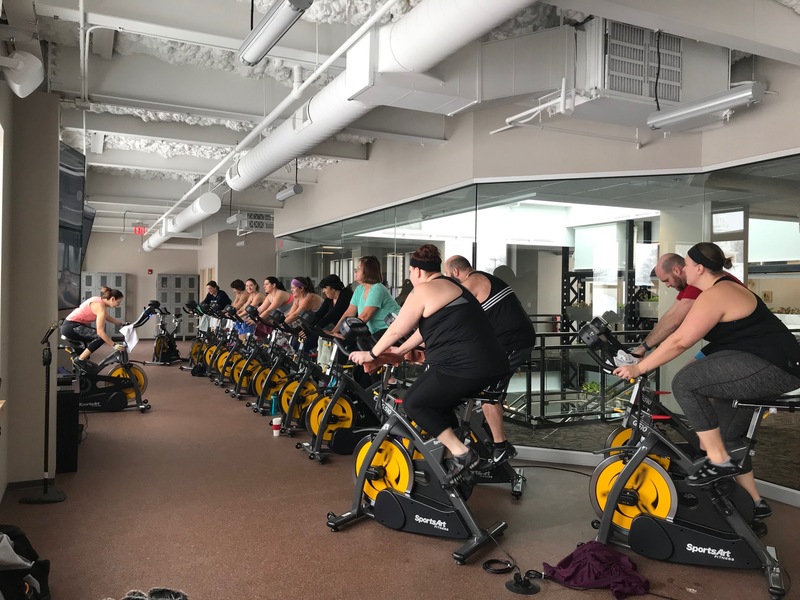 The Eco Gym features 16 Spin bikes arranged for Spin Classes, plus two recumbent bike and two elliptical trainers. Rent this unique venue for your next gathering. 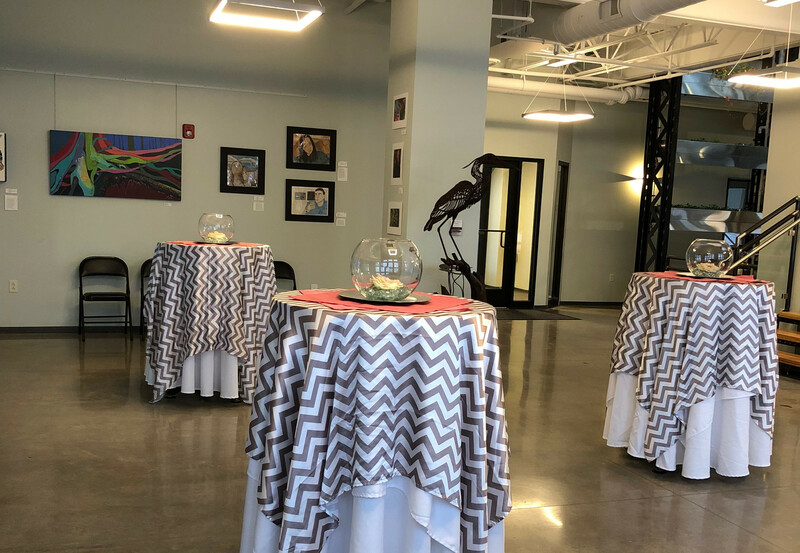 Whether it’s a wedding reception, corporate event or anything in between, Leah Riley, our Event Coordinator can help you plan and host a memorable event. 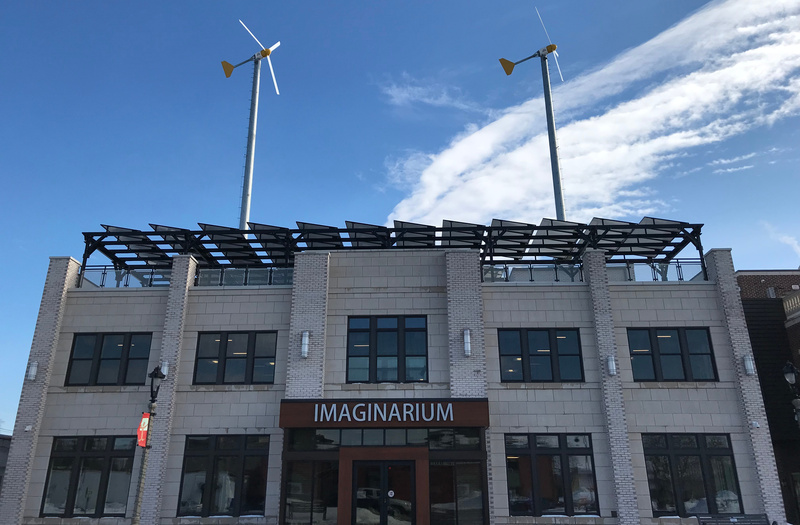 The Imaginarium houses a vertical garden with a hydropower demonstration area, an Art gallery, education space, and a real-time dashboard showing building energy performance. The seasonal rooftop also features a high efficiency, all electric kitchen and bar accommodating visitors on both The Imaginarium and Building 1, The Market at I-Square, connected via a rooftop walkway. This project is part of the Cleaner, Greener Communities program, a major statewide initiative encouraging communities to incorporate sustainability goals and principles into local decision-making, and then form partnerships to transform markets that lead to the reduction of emissions and the generation of economic development benefits. The program, administered by NYSERDA, also empowers communities to take action, providing technical resources and decision-making tools on land use, housing, transportation, energy, economic development and environmental practices, resulting in a more vibrant and prosperous New York State. Stop in during our regular hours or contact us to book a tour for your group.